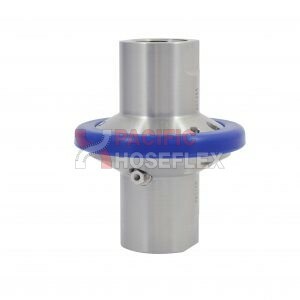 A wide range of Emergency Release Couplings for Cryogenic Applications: suitable for operating temperatures to -196°C (-320°F). Ensuring 100% closure: even in the most demanding of operating conditions. The KLAW ERC uses a Collar Release mechanism. With utilization of the Collar Release mechanism rather than the Breakstud Release option, the Collar Release offers a predetermined activation point before over extension of the attached loading system or hose assembly. The Emergency Release Couplings (ERC) is the breakpoint within a transfer system and is designed to minimise risk to assets, personnel, reputation and the environment. In an emergency, the valves close and the ERC separates. This shuts off the downstream and upstream flows of media within the transfer system. 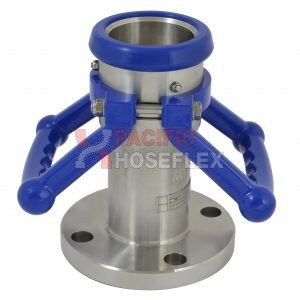 The release mechanism of the ERC is designed to limit stress to hoses, loading systems and other connections such as flange joints. 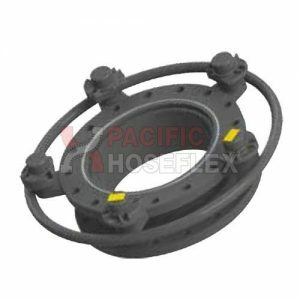 Valuable for installation, maintenance and confined spaces. KLAW Emergency Release Couplings utilize a collar release mechanism. Available in Cable, Hydraulic and Dual Release Systems. The ERC is an alternative to Breakstud Release Couplings. KLAW Emergency Release Collar systems are available from 1″ to 12″. and Elevated product temperatures (+275°C 527°F). 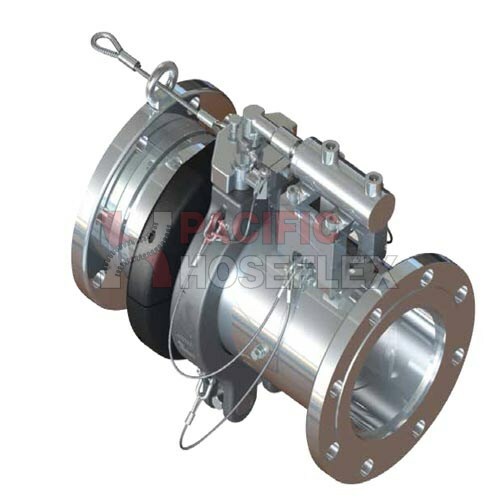 A controlled activation of the coupling is provided by using one of the three collar release systems: Cable Release ERC, Hydraulic Release ERC and Dual Release ERC. For further information regarding cryogenic couplings, visit our Cryogenic Emergency Release Coupling section. Our non-cryogenic and elevated couplings are often installed into LPG, Fuel and Chemical transfer systems. This range has been designed to offer the best flow rate solution whilst maintaining 100% closure solution. 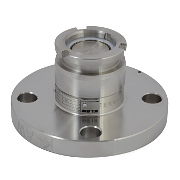 If the application requires that little more capacity we are pleased to develop higher pressure and higher flow Emergency Release Coupling to suit these needs. Although often installed within loading arm solutions, integration into hose assembly scenarios that require more of a controlled activation has become increasingly popular.